In the two-part finale of the third season of Broad City, the show’s main characters, Abbi and Ilana, embark on a “Birthmark” trip — a thinly veiled allusion to the famed Birthright Israel trip that sends Jews aged 18 to 26 on free 10-day trips to Israel. It’s hilarious — partially because it hits so close to home. Programs such as Birthright and Masa Israel Journey, which offers study abroad and volunteer and internship opportunities in the Jewish state, are known — anecdotally, at least — for their high matchmaking rates. 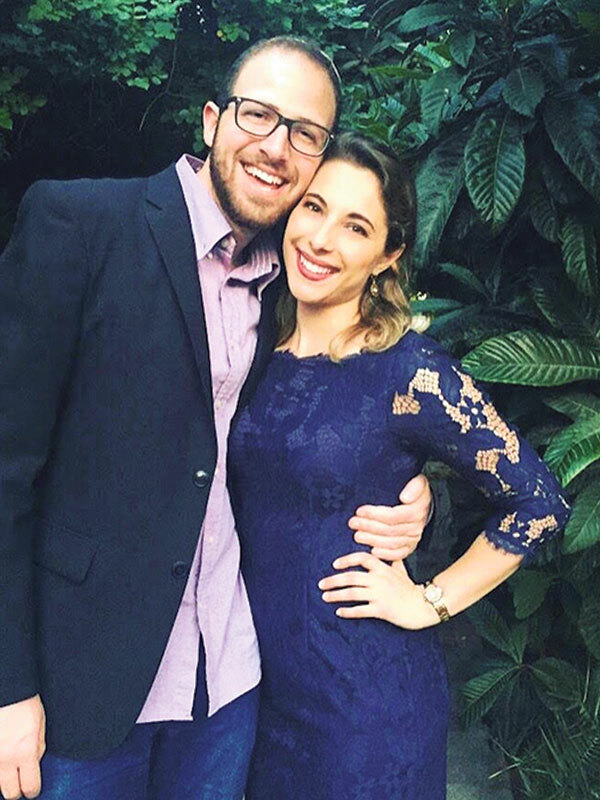 Even the receptionist for Birthright’s alumni community network, who fielded this reporter’s phone call, met her husband on a trip (read on for her story). Aug. 18 marks the beginning of Tu b’Av, a minor holiday known as the “Jewish Day of Love.” A matchmaking day for unmarried women in the Second Temple period, before the fall of Jerusalem in 70 C.E., Tu b’Av is now a popular romantically themed day in Israel similar to Valentine’s Day in the United States. In honor of the holiday, enjoy the stories of five couples who met in Israel. They met in Jerusalem on Valentine’s Day a few years ago, but it took Chris a long time to win over Ellie. Chris, a native Brazilian, was interning at an organization promoting arts and culture. Ellie was interning at a private counterterrorism firm — and was also dating someone. Months later, their first date, a picnic at Jerusalem’s Montefiore Windmill, didn’t start exactly as planned; Chris forgot silverware and cups. Still, they had a great time. Their similar attitudes may have sealed the deal — but Ellie says it doesn’t hurt that he can do spot-on impressions of people they used to have Shabbat dinner with during their Masa program. “We met a lot of people who said really crazy things,” Ellie said. Both are journalists and now live in Jerusalem, although Chris is currently in Brazil working on film projects related to the Olympics. Alissa and Zeeva met at the airport in 2013 on their way to the same Masa program, Jerusalem Sounds, which offered music and other classes at the Hebrew University of Jerusalem. But they quickly realized that they must have crossed paths multiple times, having grown up about 10 minutes apart from each other in the Boston area and attending the same small Hebrew school for years. They even participated in the same gymnastics program in middle school. During their semester abroad, they attended an acrobatics convention together — the only non-dancers there. The women acknowledged perhaps taking the program too seriously, as the dancers considered it vacation time, Alissa and Zeeva both said. Near the end of the convention, Alissa woke up dehydrated — and Zeeva went into “mama bear mode.” With no hospital around, Zeeva forced the convention administrators to call an ambulance. The ambulance workers didn’t put the IV needle in Alissa’s arm correctly — it hurt, so Alissa started talking to the workers to distract herself. “I was like, ‘Let them do their job!’” Zeeva said. By the end of what they jokingly call the “near death experience,” the couple knew they were meant for each other. “It definitely cemented our relationship,” Alissa said. Blake and Rachel both spent the better part of a year working as teaching assistants at a school in Rishon LeZion. Blake liked Rachel, but felt he couldn’t make a move for, you know, professional reasons. But with two weeks left in their Masa Israel program, he had to say something. To get her alone, Blake asked her to help him pick out gifts for his family members. “I said, ‘Rachel, I kind of have a thing for you.’ She says ‘no, you’re lying.’ But she was smiling, so I could tell that she maybe felt something for me too,” Blake said. He said he never would have crossed paths with Rachel if they hadn’t met in Israel — after all, she was living in Cleveland and he was in suburban Baltimore. Blake described it as luck that she was dissatisfied with the Cleveland school she was working at — it inspired her to go to Israel — and that the first school she worked at in Israel had a host of logistical difficulties, forcing her to transfer to Blake’s school. The couple now lives together in Washington, DC, where Rachel is an elementary school teacher and Blake is an operations assistant for the Washington Redskins. Arielle and Max met during the first icebreaker on their Birthright trip. Everyone was given a card with a fun fact about someone in the group; the goal was to find the person it applied to. But by the time she sat back down in the group circle, Arielle was disappointed that she couldn’t find the person who played an instrument. She happened to sit next to Max, who immediately told her he played piano. “We joke that that’s his pickup line: ‘I’m a classical pianist,’” Arielle said. Love grew from there and, to commemorate the day they met — which happened to be Purim — they had a costume engagement party. When the couple married in January, 14 people from their Birthright trip attended the wedding. Now Arielle works on the staff at the Birthright Alumni Network. In addition to answering the phone — it was she who shared her story — she occasionally staffs Israel trips. And when she does, she always makes sure to play that same icebreaker. Daniel and Jenna met at a weekend conference in Jerusalem through their Masa internship programs. When they saw each other at the same lectures, they thought it was just coincidence. 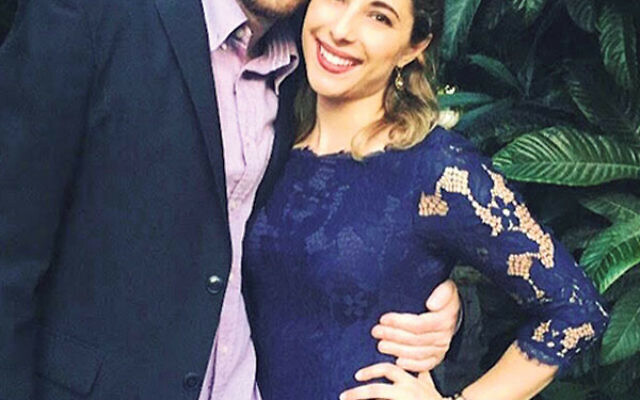 But they didn’t stay “just friends” for long — soon they were frequently traveling back and forth between Tel Aviv, where Daniel was interning at a marketing firm, and Jerusalem, where Jenna was interning at Hadassah. When they were both back in the States, Daniel immediately flew her out to see him in Seattle, where he worked. The couple will marry in September.